When glasses or contacts aren’t enough, vision therapy may be the solution. This non-invasive treatment method consists of a variety of special eye exercises aimed at correcting vision issues that corrective lenses cannot fix. It’s the capability of neuroplasticity that fuels the success of vision therapy; the human brain can actually change its structure and function to learn new skills. Vision therapy can help common eye problems, such as strabismus and amblyopia (lazy eye). Strabismus is caused by muscle weakness in one eye and is often associated with eye misalignment. One eye looks straight while the other looks down, up or outward. If strabismus isn’t treated properly, it can lead to a loss of depth perception. 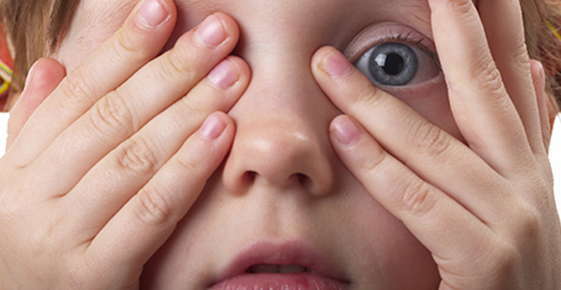 Vision therapy has proven to be an effective method for treating strabismus. Amblyopia, focusing problems, eye teaming disorders and convergence insufficiency also respond well to vision therapy. Convergence insufficiency is a condition in which the eyes have difficulty focusing on close images. For adults, it can lead to headaches and eye strain. For children, it can lead to double vision and adversely affect their ability to read and write. Vision therapy can also reduce symptoms of computer vision syndrome, which can affect anyone who spends long periods of time on the computer. If you would like to learn more about how vision therapy can help your child or you, please contact our office to schedule an appointment.